Last time I showed you how to make a nice pen-holder/pen-stand using waste things like paper and other stuff. Hope you enjoyed the tutorial. Today I am gonna show you another Recycling Bottles tutorial. Today we are recycling bottles to convert it into a nice unique Flower Vase. First of all collect some bottles and remove the sticker than follow the following steps. Take the bottle,slit it and cut to get the plain plastic sheet of middle. 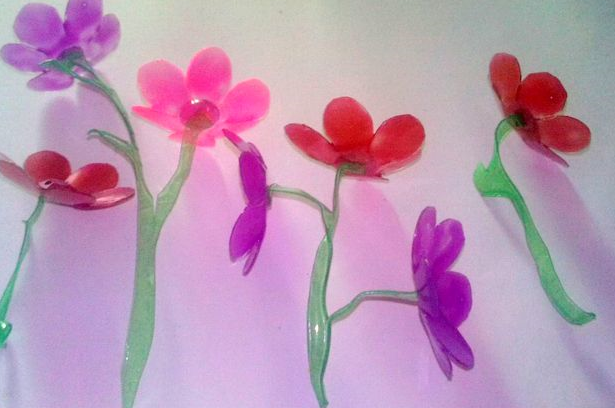 Now Draw a little flower off five or six petals in a paper than trace it into the plastic sheet. Than cut them carefully. 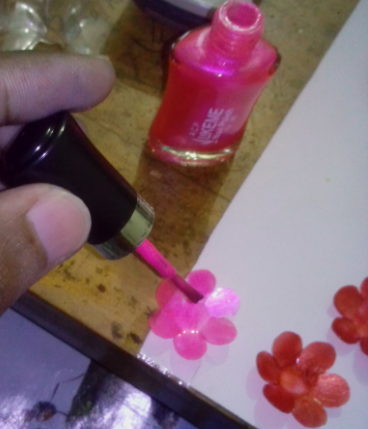 after cutting bend the petals to give it a nice flower shape. Make some of them around 15 to 20. Now color them using your favorite colors. I used nail polish to color them as they give a nice glittering looks. You can also use acrylic colors. 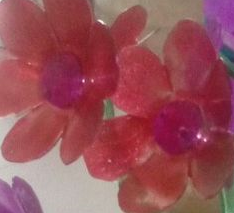 After coloring them attach little colorful beads in the center of the flower using glue. 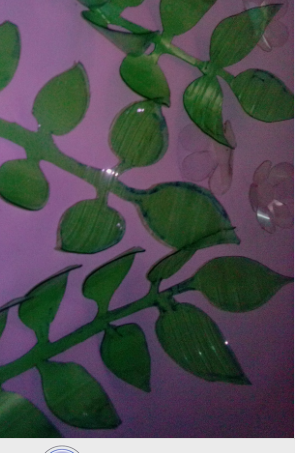 Take other part of the bottle cut it to make some branch of the flowers. After cutting give a little heat to curve them. 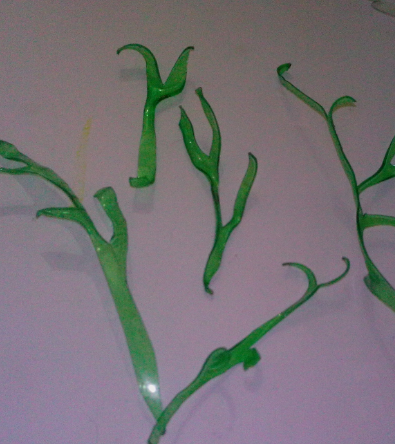 Make some leaves too like the picture bellow. Than color it green with your favorite colors. 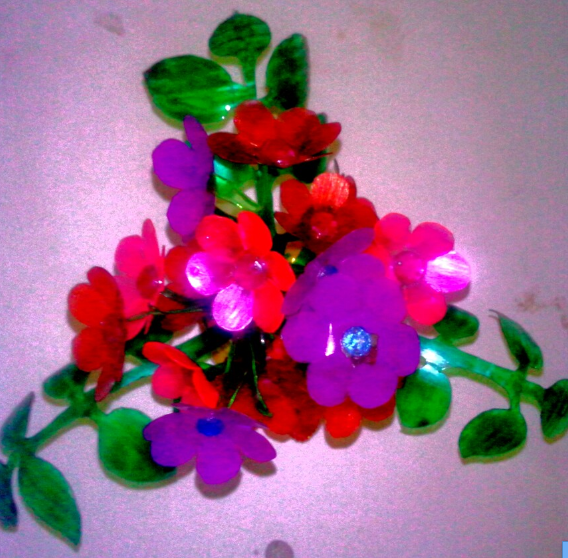 Now attach the flower in the branches with the help of hard glue. Give it some time to dry the glue. See the picture bellow. Well you are almost done now attach all the parts together in a base. For the base use the remaining bottom part of the bottle. Apply hot glue to attach all the parts together. To see more specifically here is the video tutorial. 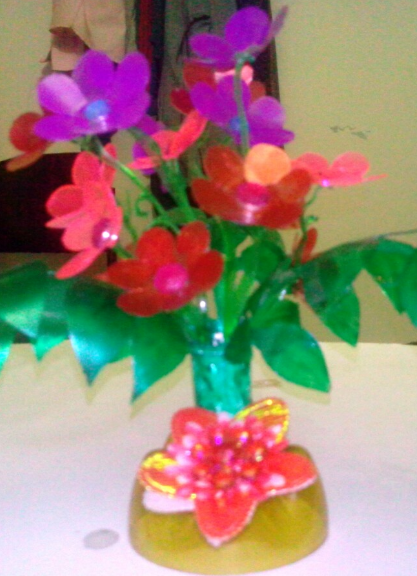 You can see more video tutorials in my youtube channel Sania's Crafts & Hacks. Thanks for seeing the blog. Share your thoughts and ideas through comments.